So Sax (Christopher Meloni) vanquished Very Bad Santa (Joseph D. Reitman), reunited with Amanda (Medina Senghore), Hailey (Bryce Lorenzo), and Happy (Patton Oswalt), and worked with Merry (Lili Mirojnick) to get Francisco “Mr. 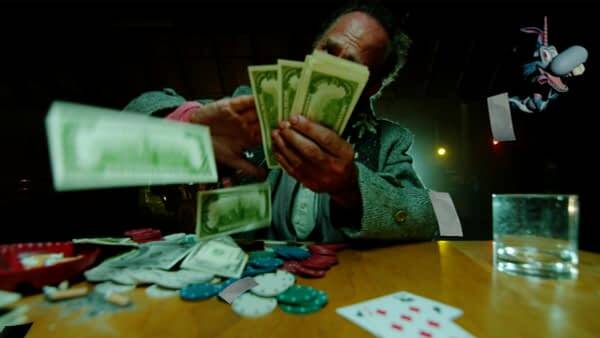 Blue” Scaramucci (Ritchie Coster) off the streets for good… and they all lived happily ever after! 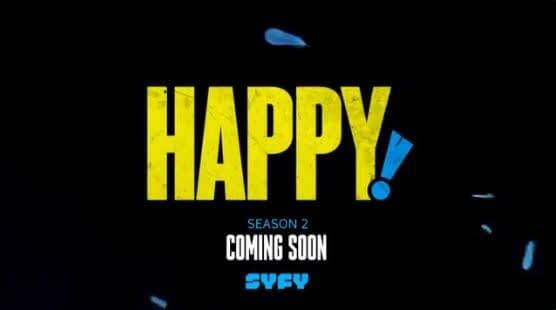 Except that wouldn’t make for a very interesting second season of Syfy‘s Happy!, would it? Have you heard the best news ever?!? #HappySeason2 first table read thru. Syfy’s adaptation of Happy! stars Christopher Meloni as Nicholas “Nick” Sax; Patton Oswalt as the voice of Happy; Ritchie Coster as Francisco Scaramucci; Lili Mirojnick as Det. Meredith “Merry” McCarthy; Medina Senghore as Amanda Hansen; Bryce Lorenzo as Hailey Hansen; Patrick Fischler as Smoothie; Debi Mazar as Isabella Scaramucci; and Christopher Fitzgerald as Louis “Sonny Shine” Sheinberg. A cooperation between Original Film, Littleton Road, and Universal Cable Productions, Happy! is executive produced by Meloni, Morrison, Neal H. Moritz, Pavun Shetty, Toby Jaffe, Brian Taylor, and Patrick MacManus; Thomas Sellitti, Jr. and Bill Butler are producers.